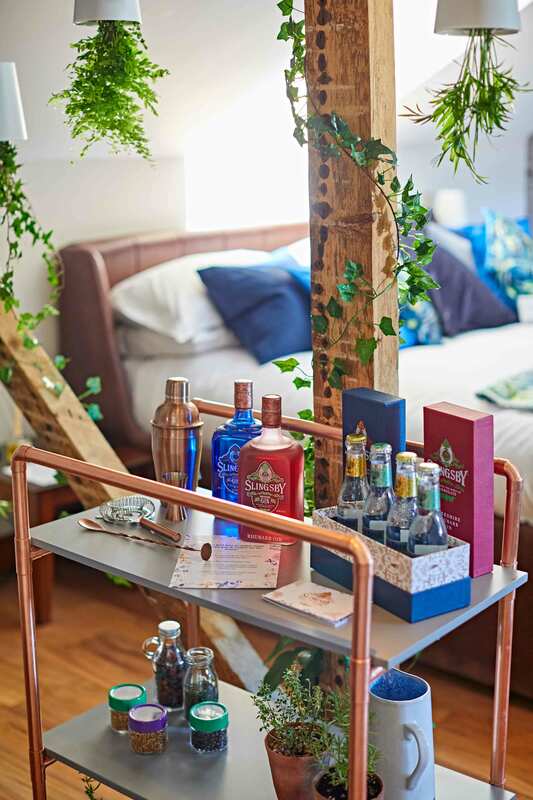 Matthew collaborated on this joint project with Slingsby Gin, the Harrogate based artisan gin distiller, and Hotel du Vin, to create four ‘ginspiration’ suites. 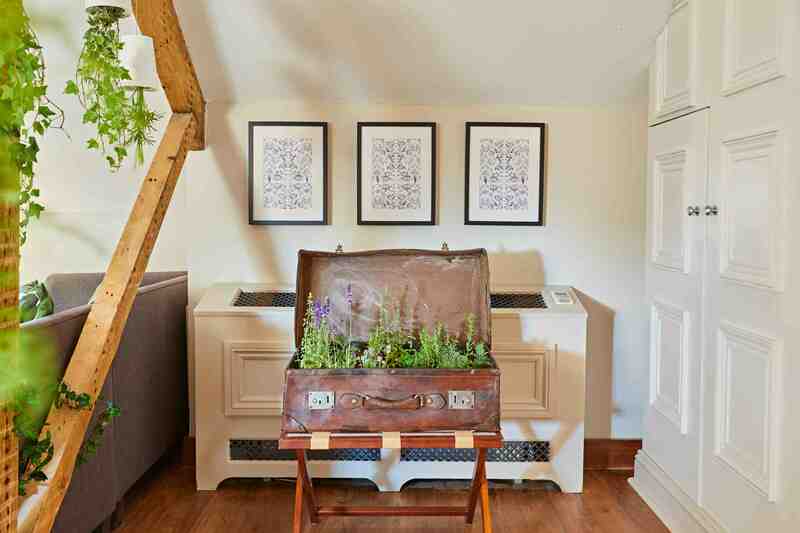 Each suite included a range of botanicals as features in Slingsby’s London, Rhubarb and Navy Cut gins, using a mixture of vintage suitcases, hand thrown Victorian terracotta pots and hanging ‘skyplanters’ to display them. 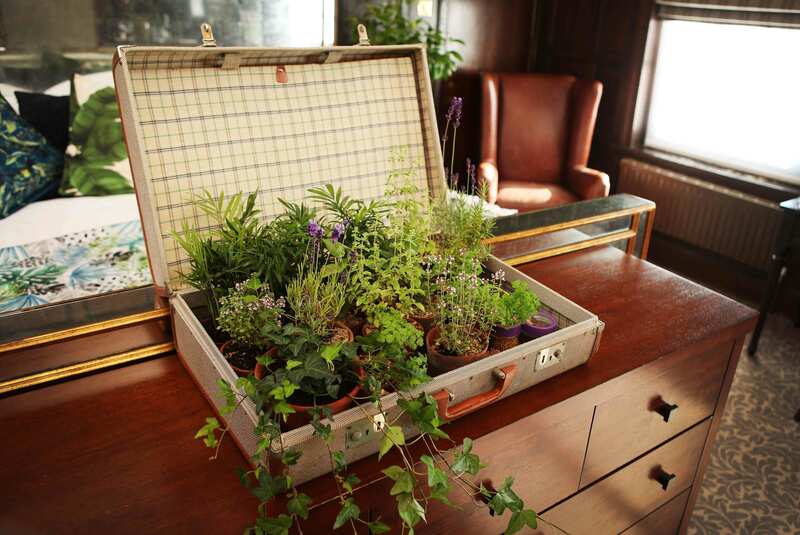 There was a nice connection for Matthew, as many of the botanicals used by Slingsby come from the kitchen garden at Rudding Park hotel, which Matthew designed in 2013. 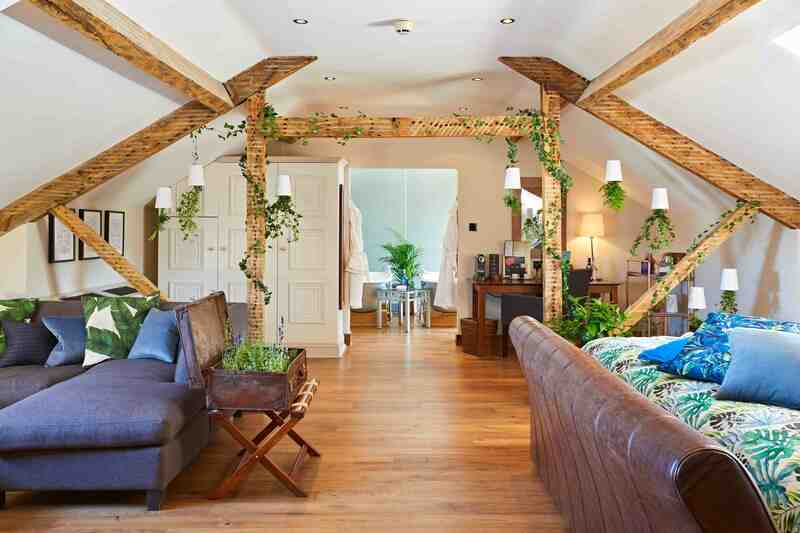 The three month long installations were created in the York, Harrogate, Brighton and Birmingham Hotel du Vin hotels.